Before going to mention the name of Best VPN for torrenting and P2P filesharing, it is reasonable to somewhat discuss about what they actually refers to. Torrenting and P2P (peer-to-peer) all basically mean the same thing nowadays, usually meaning file-sharing or obtaining content files on the internet via the protocol, BitTorrent. To send or receive P2P files, a person uses, on their Internet-connected computer, BitTorrent client which is a computer program that implements P2P file sharing protocol. Each client is capable of preparing, requesting, and transmitting any type of computer file over a network, using the protocol. This protocol helps users download and share data, including Word or PDF files, videos, audios etc. via a peer-to-peer network, without affecting the performance of the web servers involved. This protocol can be used to reduce the server and network impact of distributing large files. Rather than downloading a file from a single source server, this protocol allows users to join a “swarm” of hosts to upload to or download from each other simultaneously. The catchy advantage of it is that by using torrent app, you can share any type of file, while it is still in the process of downloading. Therefore, you don’t have to wait for the whole file to download. You can start sharing and transferring your file, as soon the file starts downloading. This means that torrent essentially divides a larger file into small components while downloading is still in progress. Thus it eventually saves a user’s time without putting any extra burden on the computers within the network. 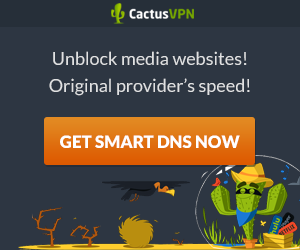 Torrents work best with best secure VPN services. You may ask, torrents support P2P file sharing, so what is the advantage of using a VPN service for carrying out your P2P file sharing activity. Well, using a P2P VPN or more precisely, a P2P-enabled VPN, will make your file sharing activity more private and safer than ever. Because, your IP address is usually visible while using torrent client in P2P file sharing. The good news is that if your torrent with a good VPN provider it will protect you from this, as long as the VPN provider permits P2P. To serve this purpose, you can choose from the list Best VPNs for Torrenting and P2P File Sharing mentioned below. Note: All visitors of this website who would like to purchase any VPN-service from the above list Best VPN for torrenting should follow the codes of humanity & rights and completely avoid all forms of criminal or offensive activities which might harm any human being or destroy human rights of any kind. For example: none should use these VPNs for implementing any kind of terrorist activity, hacking others properties or copyright things, theft, robbery etc. If anyone is directly or indirectly involved in such activities by using the VPN-services from the above list Best VPN for torrenting & P2P file sharing, s/he will be liable for her/his offense/crime.